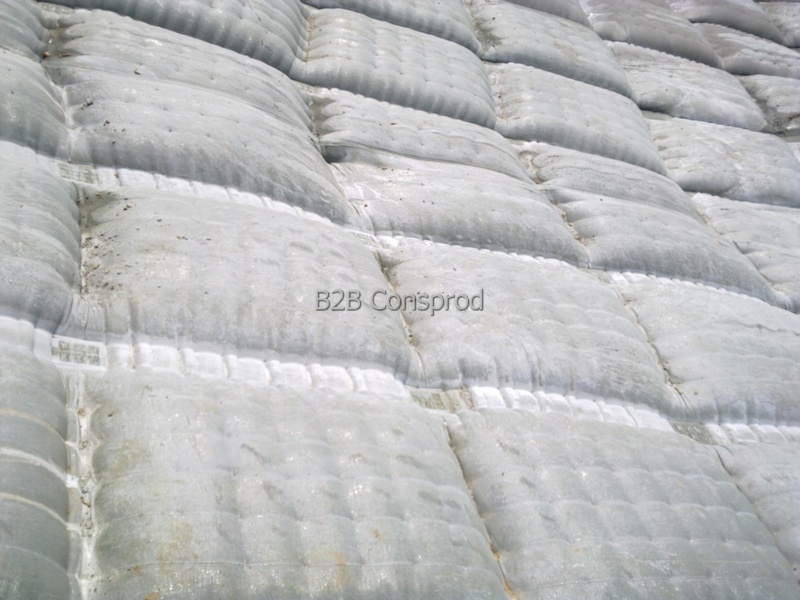 Mats with concrete are loose-shaped geocontainers, made of high-strength woven geotextiles with UV protection and high frost-thaw cycling. 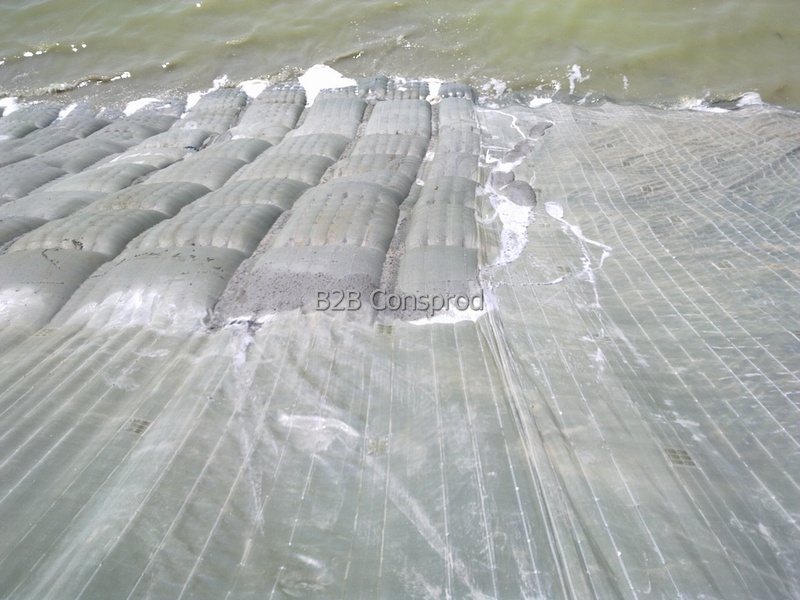 They are made of long life materials (20-25 years): PET and PP, HDPE and PP, HDPE and PP-PES. 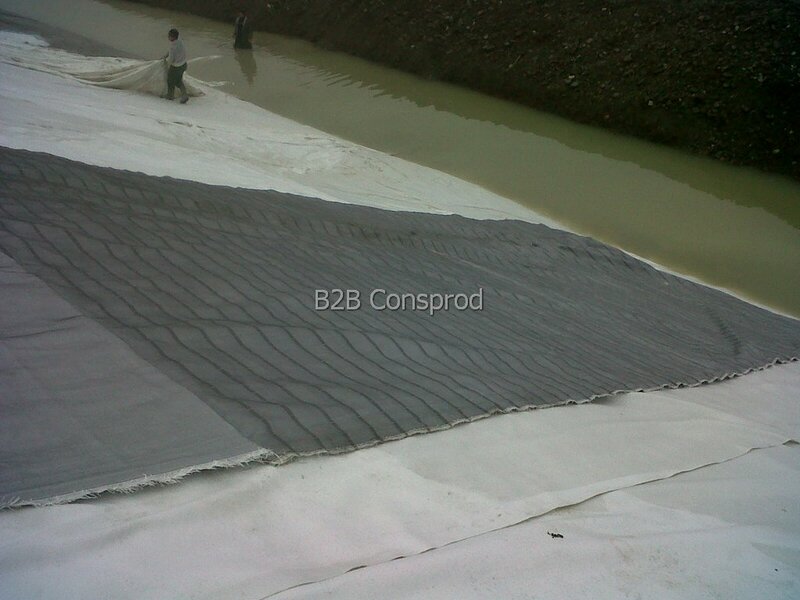 The two sides of the mats are reinforced by weaving at the filtration points, their density and size ensuring the final thickness after filling with concrete (10-15-20 cm). 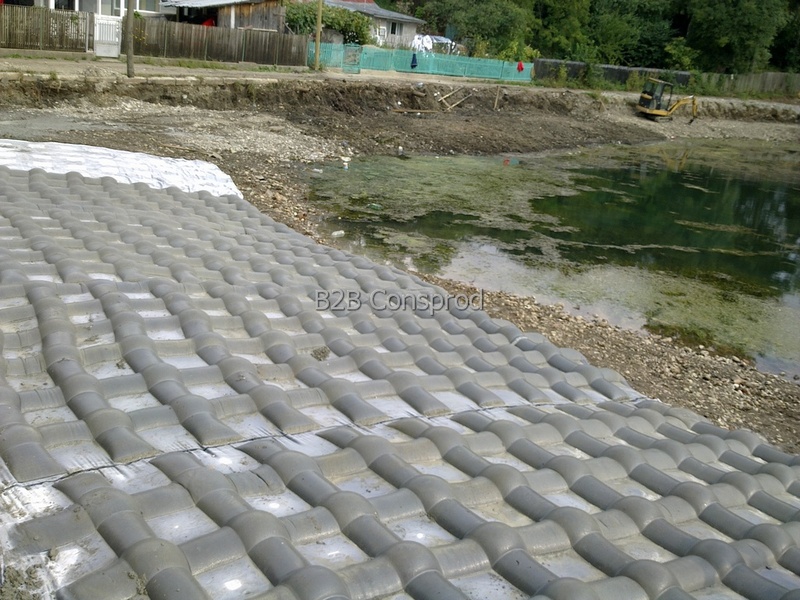 Mats with concrete are used for consolidation, stabilization and anti-erosion protection of riverside banks, waterways and irrigation channels, flood defense dams, coastal protection, deviations, groins and other hydro-technical constructions. 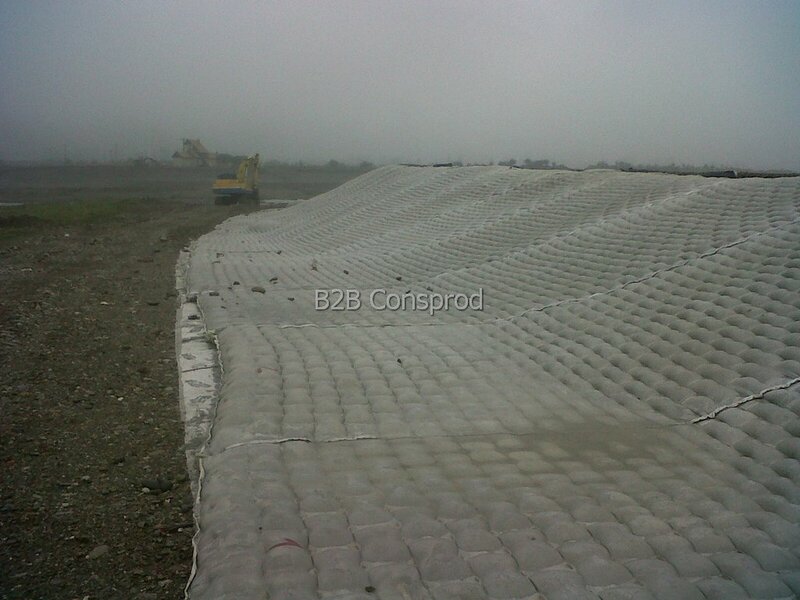 • Grassed Mats (made by alternating the tiles filled with concrete, with filtration points that can be cut with vegetal soil). 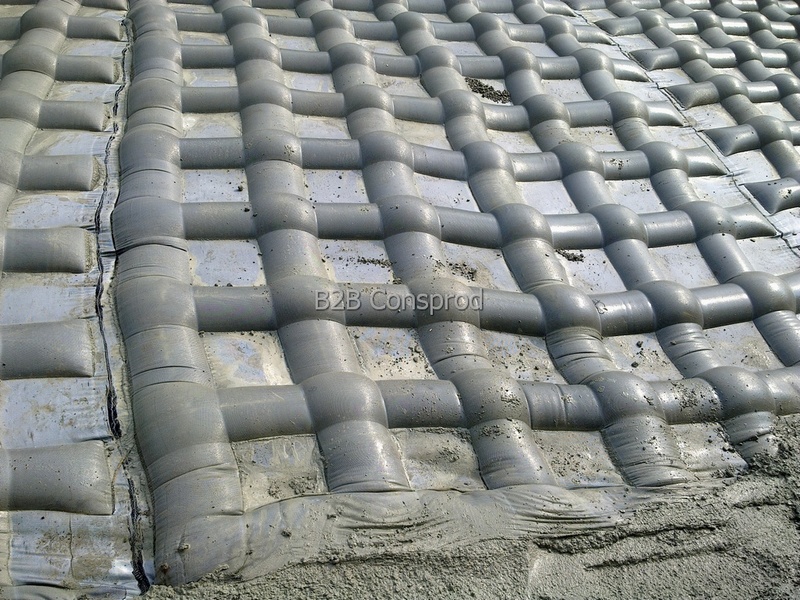 The mats are fixed along the slope, in strips of different widths, joined together by sewing, which are filled with concrete progressively from the base to the top of the slope. • supporting and protecting pipelines. 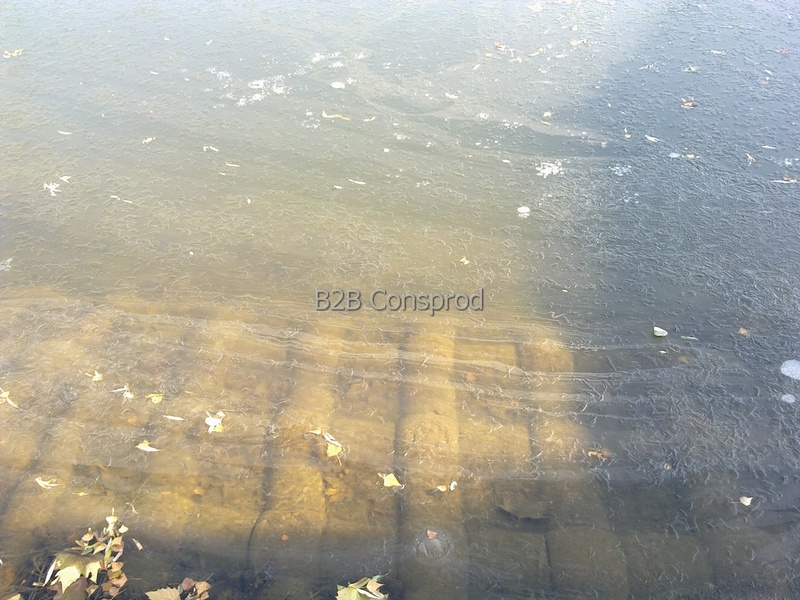 • Enhance and efficiently protect work. • Easy to put into operation, ensuring fast execution. 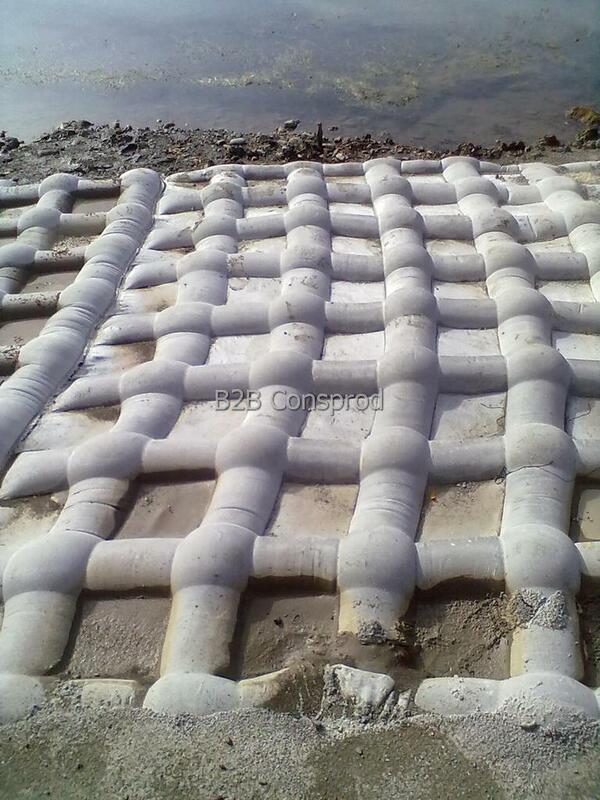 • The mat is flexible and takes the slope shape and possible compressions of the support layer. 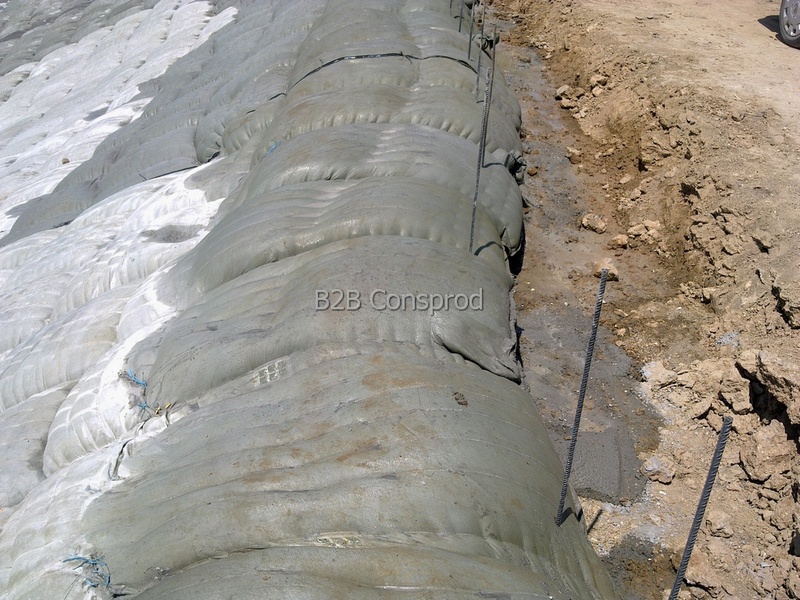 • Mats achieve uniform coverage over the entire area to be protected.